Transform yourself into a lovely maiden or pirate princess in the Bell Sleeved Medieval Blouse. This essential womens shirt is made of comfortable and soft batiste. Its timeless bell sleeves have drawstring cinching at the elbows, letting you customize the fit and look to your tastes. After the elbows, the sleeves flare out dramatically into a full, romantic shape. The neckline is also adjustable via drawstring and can be worn in ways ranging from a demure scoop neck to a flamboyant off-the-shoulder style. Wear this medieval chemise under a bodice or sleeveless dress, or accompany it with your favorite skirt or pair of pants. 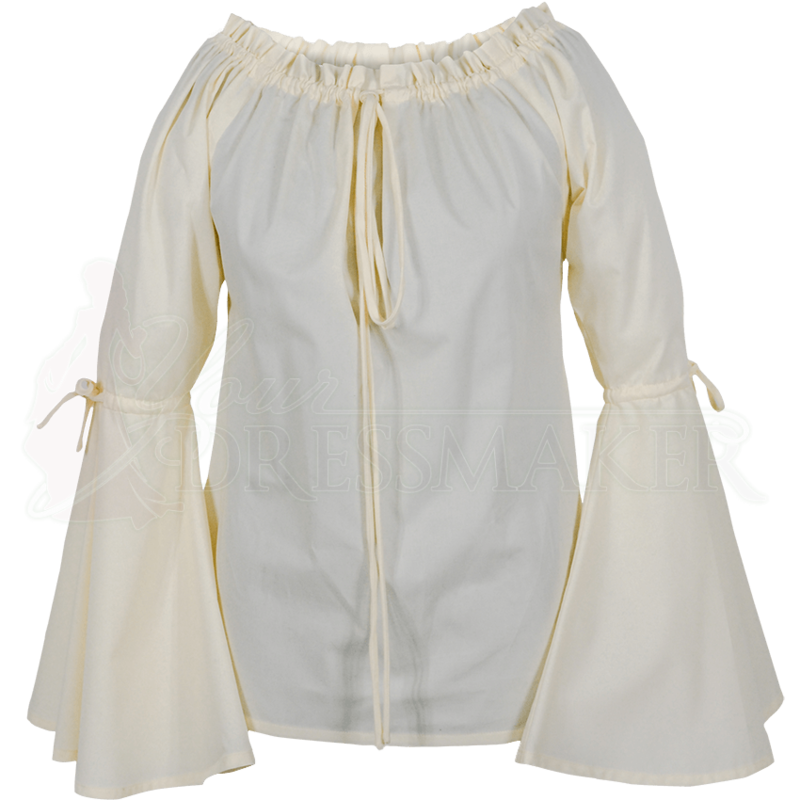 A must-have addition to almost any historical or fantasy wardrobe, this womens blouse is available in a variety of colors.